What Does “Malty” Mean, Exactly? 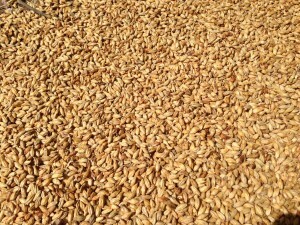 Pale base malts, such as 2-row pale malt and Pilsner malt, have a light malt character. If you’d like to to boost that basic sort of malt flavor and aroma, but not add a lot of color or darkly-roasted malt character, Munich malt is a very popular option. 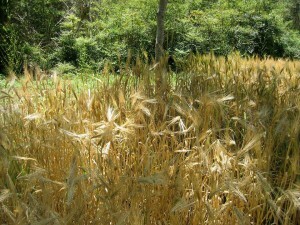 Munich malt is made by a wide variety of maltsters and comes in light and dark forms, which differ between maltsters. Light Munich is usually around 6–10 °L and dark Munich can range from 8–35 °L. Light Munich has enough diastatic power to convert itself and can be used for up to 100% of the grain bill. [Briess lists their Munich malt (10 °L) as having a diastatic power (DP) of 40.] Dark Munich malts vary by maltster in terms of their color and whether they can convert themselves, and hence be used as the only base malt. [Briess lists its Munich (20 °L) as having DP 20 and recommends 50% as the maximum usage. In contrast, Weyermann says you can use its Munich II malt, which is only 8–9 °L, as being usable up to 100%.] A beer made entirely from light Munich malt would be orange in color and assertively malty. A few German Octoberfests are made from either 100% light Munich, or Munich and a small amount of specialty malt. In any beer, swapping 10–20% of the base malt for Munich malt will accentuate the malt character, without making the beer intensely malty. Vienna malt is similar to Munich malt, only more lightly kilned. It’s color and character vary by maltster, but most Vienna malts fall in the 3–7 °L range. It can be used up to 100% of the grain bill, a fairly popular option for Octoberfests, or in lower amounts to accentuate a beer’s malt character. Munich malt and Vienna malt work well together as they are both malty, but their flavor and aromas differ slightly. Some English pale ale malts, often around 3 °L, are in some ways similar to Vienna malt as they produce a more malty character than lighter pale malts (often around 2 °L). As I mentioned above, I had tried before to duplicate the malty goodness of Hexenbräu. That malty character is also found in the some doppelbocks and to a lesser extent certain Octoberfests. (Among ones I can get in my neck of the woods, Hacker-Pschorr is the most malty.) It wasn’t until I started working on my Einherjar Ale that I stumbled upon the solution — aromatic or melanoidin malt. Aromatic malt and melanoidin malt are malts designed to impart an intense malt flavor and aroma to beers. Dinegeman’s (a Belgian maltster) and Briess (US) both make aromatic malts that are widely available to homebrewers in the states. Likewise, Weyermann and Best Malz (both German malsters) make melanoidin malt that isn’t hard to find in the US. In addition, both Castle (Belgium) and Weyermann (Germany) make a malt called abbey malt, which is described in a similar manner as aromatic and melanoidin malts. (The Castle malt used to be labelled as aromatic malt.) All of these malts are different, but they share some similarities; they are all 20–30 °L, meant to be used at a maximum of 15–20% of the grain bill (depending on the malt) and described as imparting an intensely aromatic malt character. “Super Munich” is the phrase some brewers describe these malts. My experience with these malts is that a little bit goes a long way. If you pair them with Munich malt, Vienna malt, or a blend of the two, just a few ounces (~60 g) is detectable in a 5.0-gallon (19-L) batch and the aroma and flavor of the malt get progressively more intense as you add more. I once made a 5.0-gallon (19-L) batch with 5.0 oz. 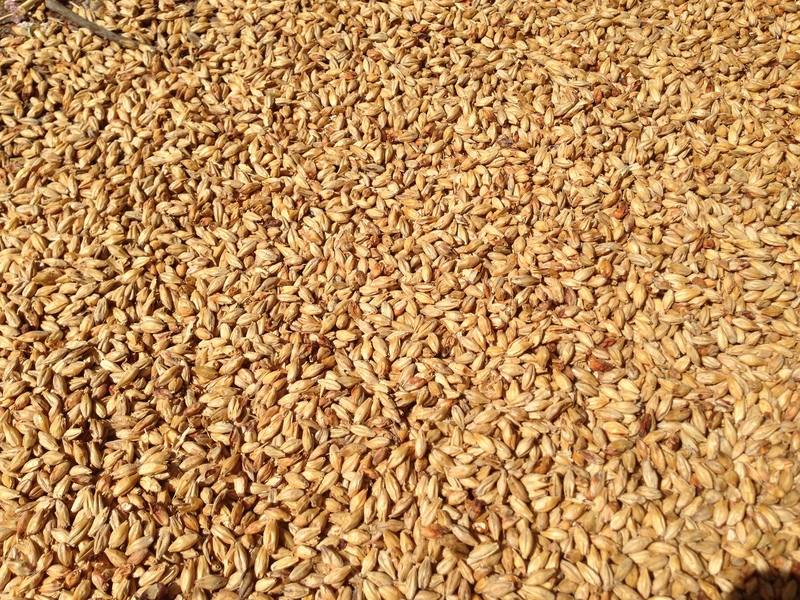 of aromatic malt (Briess), around 2.5% of the grain bill. 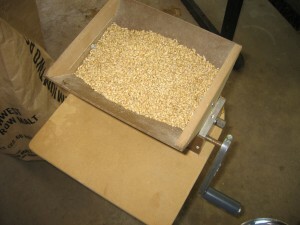 Roughly a third of the grain bill was a 3:2 blend of Vienna malt and light Munich malt, with about a pound (~0.5 kg) of dark Munich malt (20 °L) thrown in. The beer was very malty and this convinced me that about 8.0 oz. (230 g) of this type of malt would be a reasonable upper limit for this type of malt — at least until you try it and decide if you like what these malts impart. If you didn’t include the Vienna and Munich malt, obviously you could bump this amount up a bit. Gambrinus makes a honey malt that’s described as adding malt character, along with some sweetness (hence the name). This malt is between 20–30 °L and 10% of the grain bill is the upper limit given for this malt. Here are some specific recommendations for increasing the malt character of any beer. If your beer is made from pale malt and some specialty grains, you can bump the malt character up a notch — without fundamentally changing the beer — by doing this: Replace 5–10% of the base malt with dark Munich malt, or 10–15% with light Munich malt, or 25–33% with Vienna malt. (Pick one.) If you want to bump things up beyond this, so that the malt character starts to stick out, double the above replacement rate — and perhaps think about adding a blend of at least two of these malts. From there, you can keep swapping out pale malt for a blend of the “malty malts” until you reach the level you desire by trial and error. If you’ve subbed out most or all of your pale malt for Vienna or Munich, but the malt character still isn’t doing it for you, start adding a little aromatic or melanoidin — just a few ounces (roughly 60–90 g) per 5 gallons (19 L), below 5% of the grain bill, at first — and work up from there. In the concluding half of this article, I’ll discuss how your brewhouse procedures (esp. decoction mashing) can affect the malt character, and how other aspects of the beer — water chemistry, body and sweetness — interact with the perception of malt.